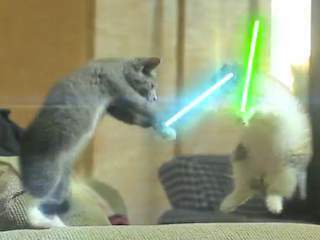 What do you get when you combine cute kittens with Star Wars? You get Internet gold, that's what. Check out kittens. With lightsabers. The only way it would be cuter is if they had little hats and sailor outfits. What did you think of the video? Want to see more? Let us know in the comments.